Registration coming soon so save the date! You will enjoy a heart and body warming day of winter practice in semi-silence with a like-minded soul group. 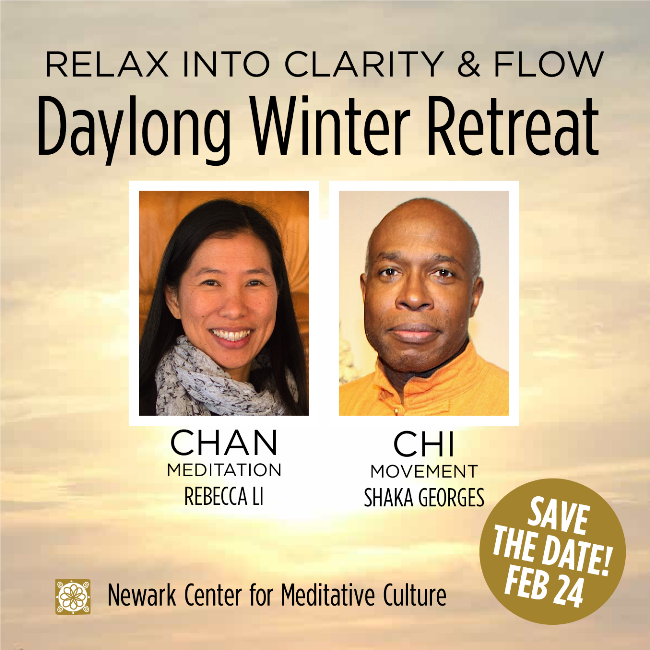 Your retreat will include relaxing into clarity through meditation (chan) with Rebecca, flowing with healing movement (chi-gong) with Shaka, a creative Art of Seeing workshop, Dharma Talks, and engaging dialogue. Healthy breakfast treats and a delicious vegetarian lunch will also be included. This entry was posted in Art as Meditation, Chan Meditation, Day-long Retreats, Dharma, Meditation, mindfulness, Qi-Gong, Tai-Chi, Walking Meditation. Bookmark the permalink.